War Cache is back for a third time and you'll have the chance to get gifts from us throughout the event! 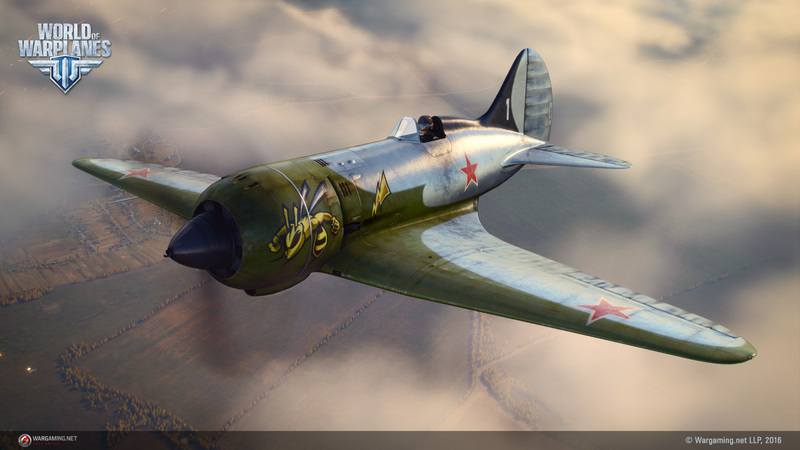 Last but certainly not least, you can also earn a special Gift Plane: the Soviet Polikarpov I-180-3! 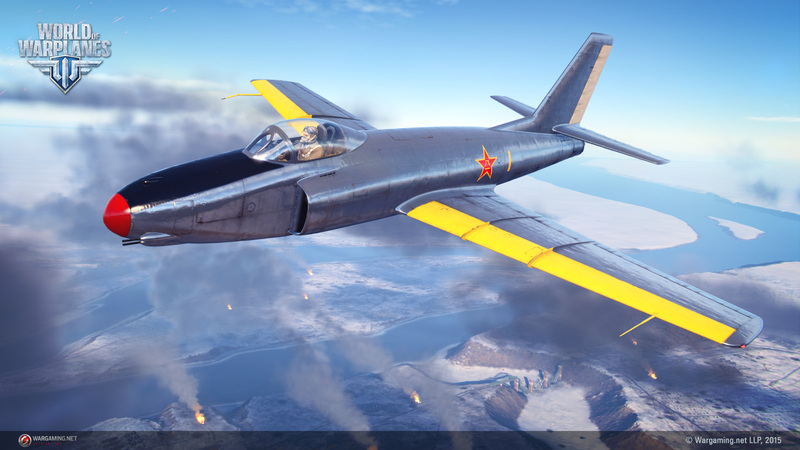 Elegant, lightweght and easy to fly, the I-180-3 looks similar to the I-16, but pairs that plane's outstanding maneuverability with better speed characteristics. 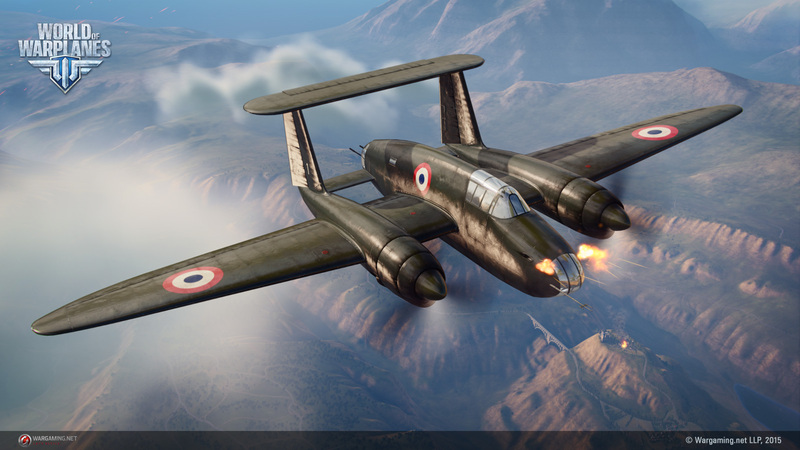 This fighter can not only out-turn its enemies, it can pursue them at speed! 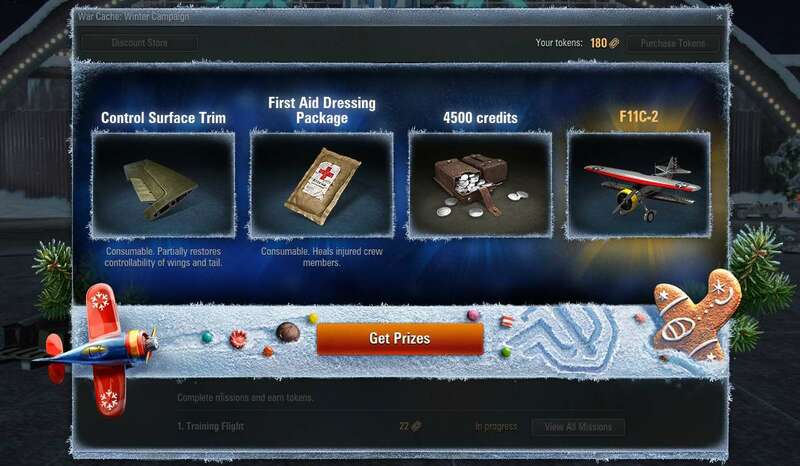 It's the season of giving, and we're giving everyone an opportunity to receive gifts from us through our War Cache event! It's available from December 24 3:20 PT / (6:30 ET) until January 12 3:20 PT / (6:30 ET) and the prizes are excellent! 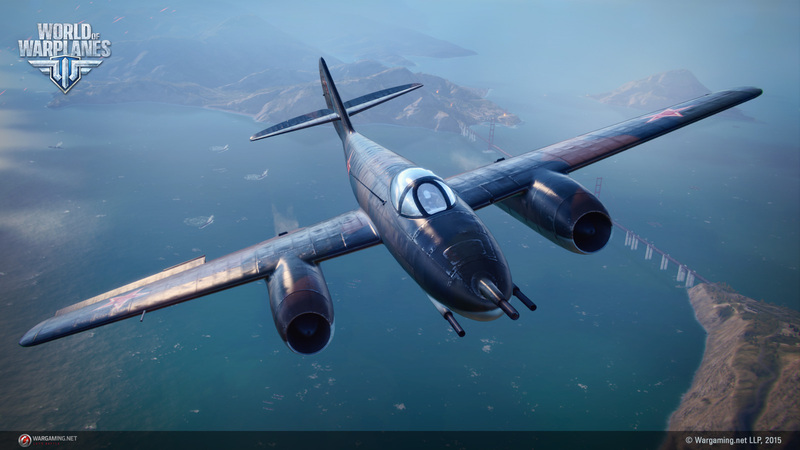 If you've missed out on any of the warbirds we've given out over the last two years, this is the perfect opportunity for you to complete your collection -- they're among the gift planes that will be available to earn! 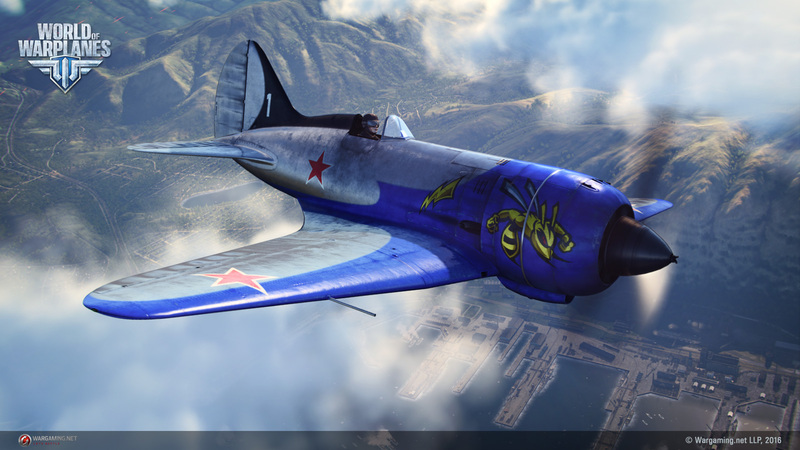 You can also use your Tokens to try and win the jackpot: the Chinese Premium JL-1A-37, a tier VIII fighter. 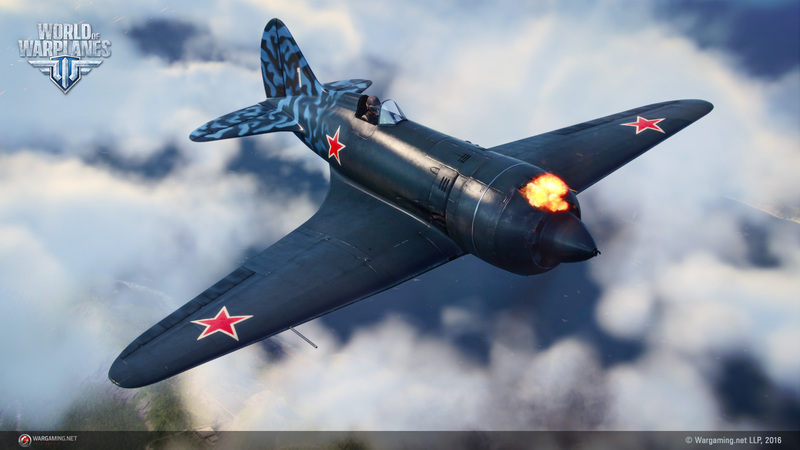 This aircraft will only be available to win during the War Cache event so you'll want to fly well and get lucky! When you open the game, you'll notice a "Tokens" tab. 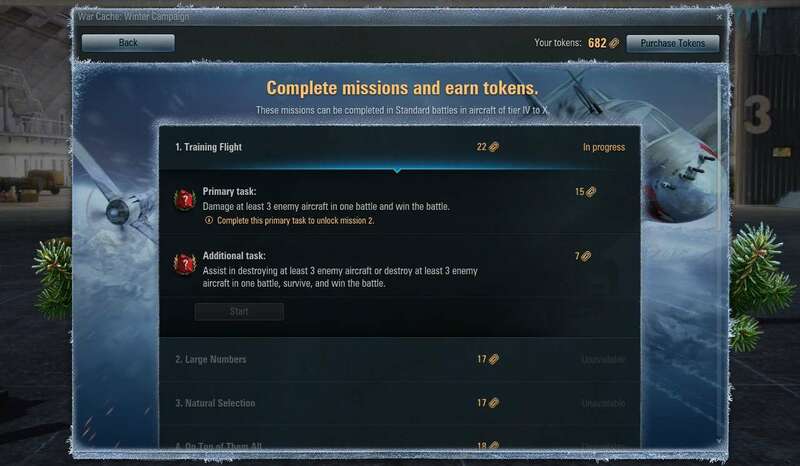 Click on it, and you'll see a list of the 15 Chained Missions you'll need to complete in order to earn Tokens. Each mission has two objectives: an easier Primary Objective, and a harder Secondary Objective. After completing the mission, you can move on to the next, but don't worry if you miss out on the Secondary Objective of the mission, because you can always go back and complete it! 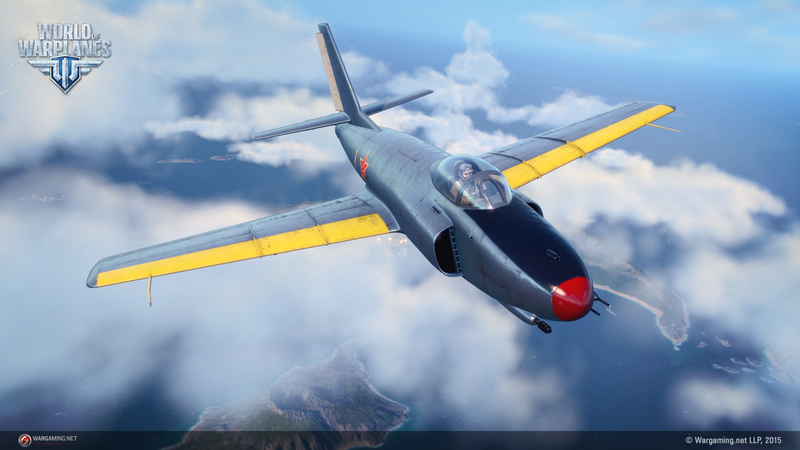 You can even earn Tokens by just entering the game, and if you collect all the available Tokens, you'll be able to afford two of the aircraft listed above! 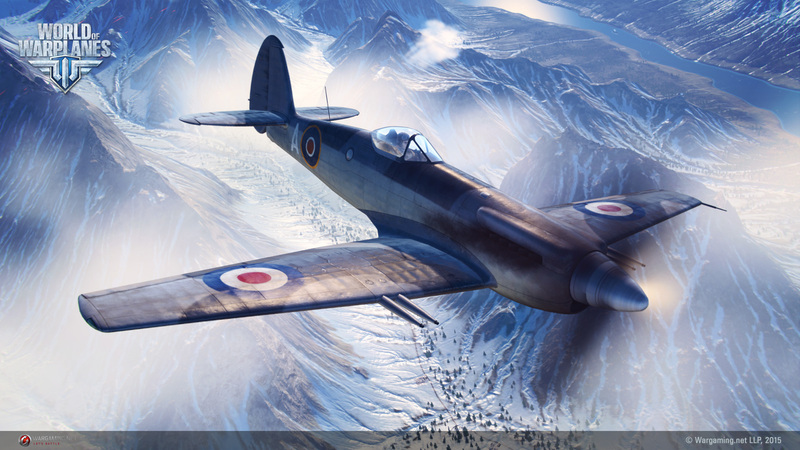 If you are missing Tokens and are eager for another Premium warbird on offer, you can purchase Tokens the following exchange rate of 1 Token for 50. Finally, if you aces complete the Primary and Secondary Objectives of all the missions, you'll be rewarded with a special medal that shows your skill and dedication!